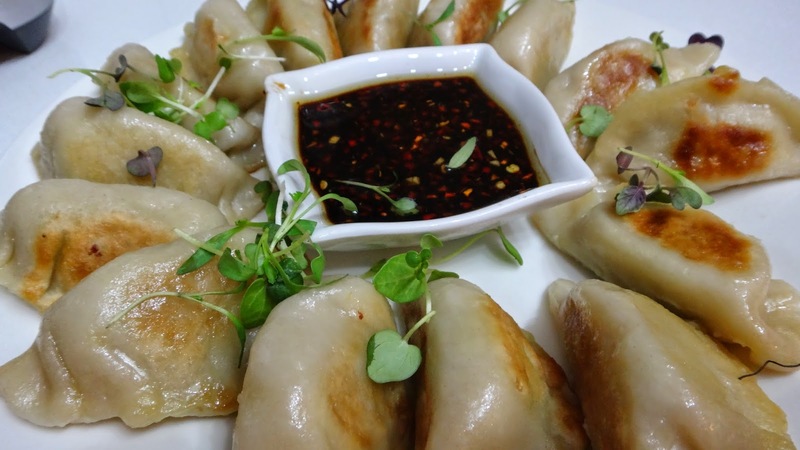 Pot Stickers are worth the effort because they are just so delicious! 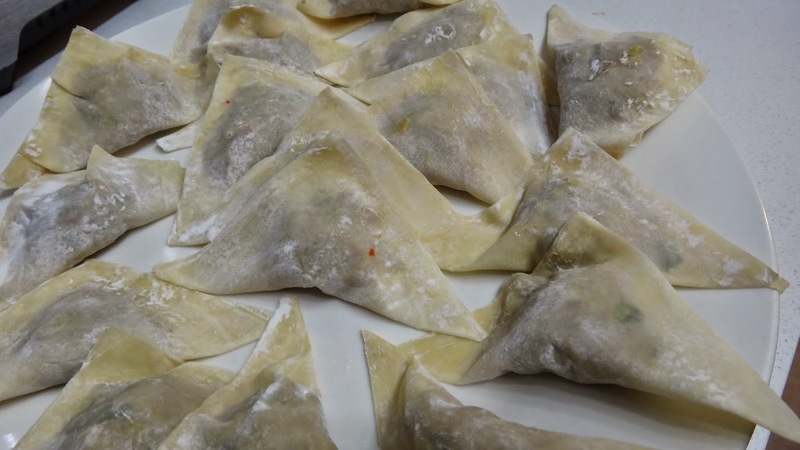 If you really don’t want to make your own dough you can buy store bought won ton wrappers and I will show you how to make both ways in this recipe. I gotta say, they are WAY better if you make them all from scratch! You can freeze them and keep them for your next get together too. Your guests will be dazzled! I can just hear my friend Mary Ann saying “dough is just too much work I will make them from scratch when I retire! !” Come on, try them once and you will be hooked. 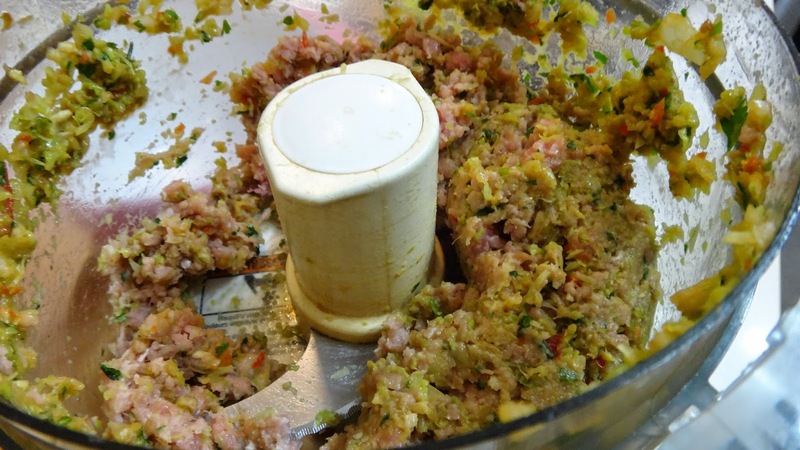 Step 1: start with some good quality minced pork. 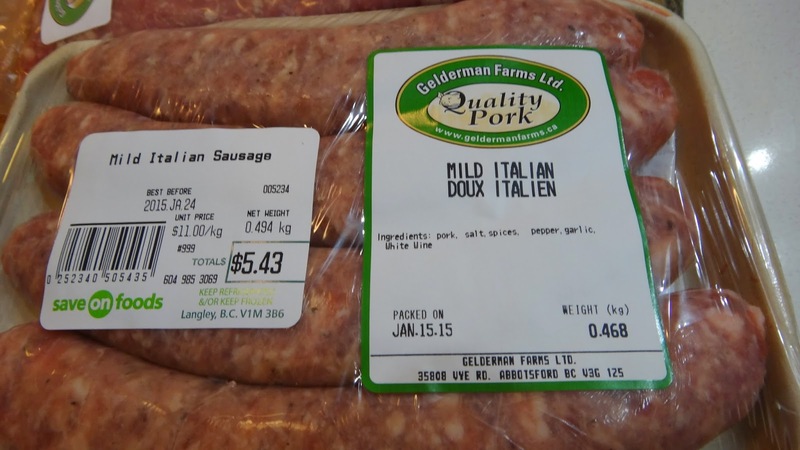 If you find it difficult to find any you can use some mild Italian sausages instead. 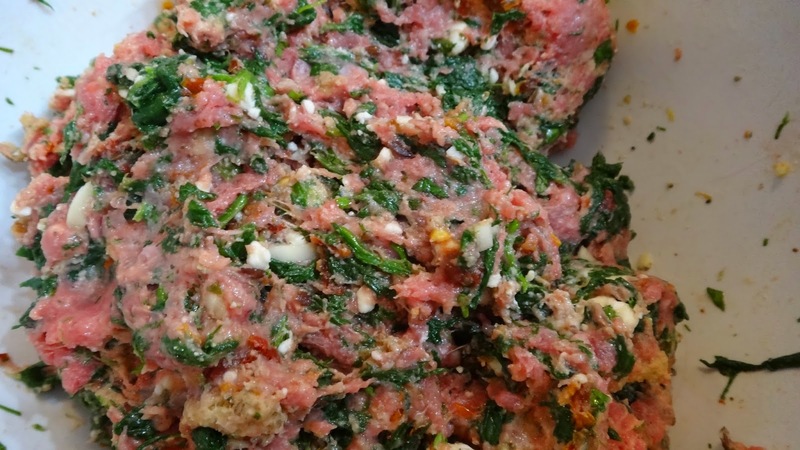 I just slit the casing and remove them so you have just the minced meat. 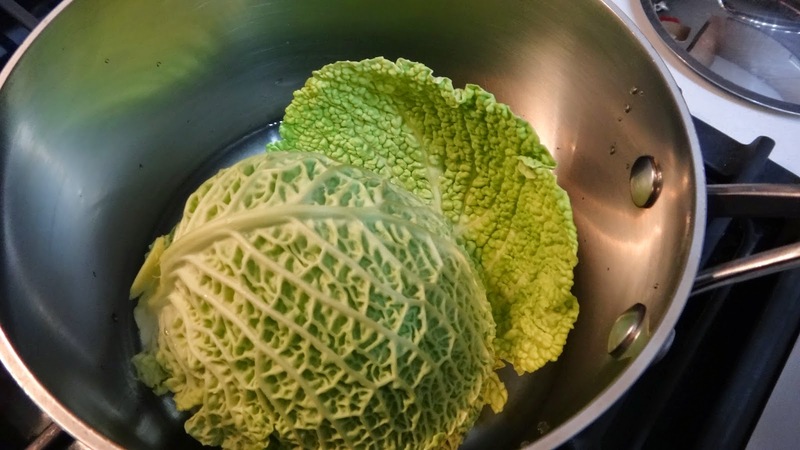 Step 2: in a pot add an inch of water to the bottom and add 4 small leaves of savoy cabbage. 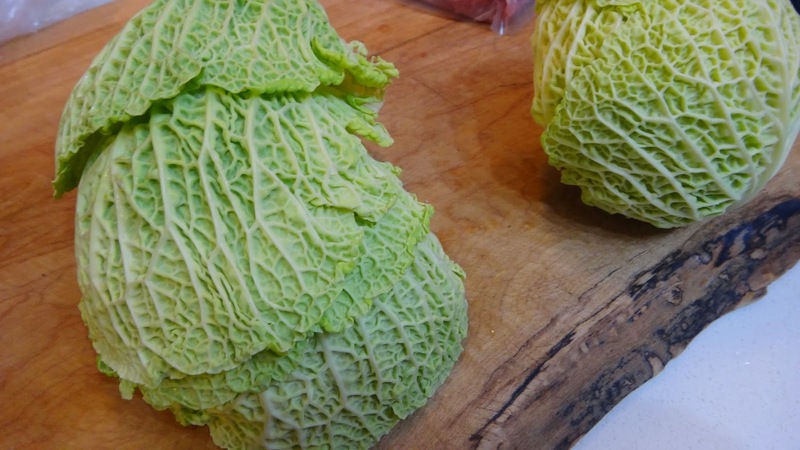 My cabbage is a small one and you can use another variety of cabbage if you have it. Cover and cook on high heat for 5 minutes until the leaves are tender and soft. 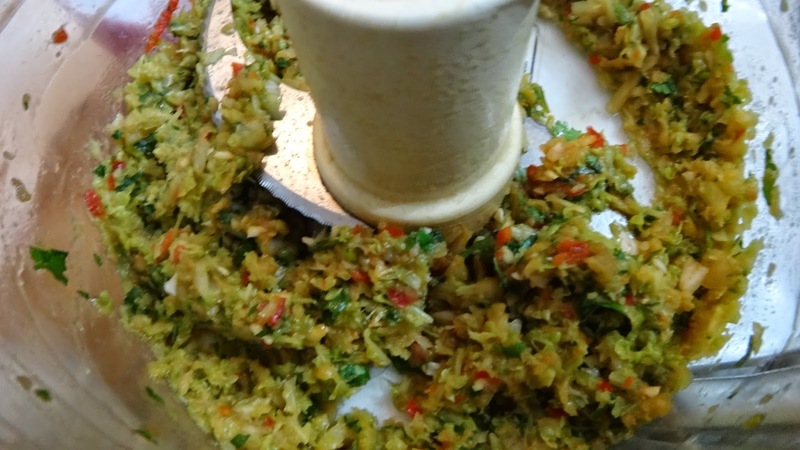 Step 3: take the onion, garlic, small red chili (as hot as you like- mine is mild/medium hot) Spring onion also called scallion, fresh grated ginger, cilantro, sesame oil, soy sauce, apple, 5 Spice powder and salt into a food processor. Pulse until minced. 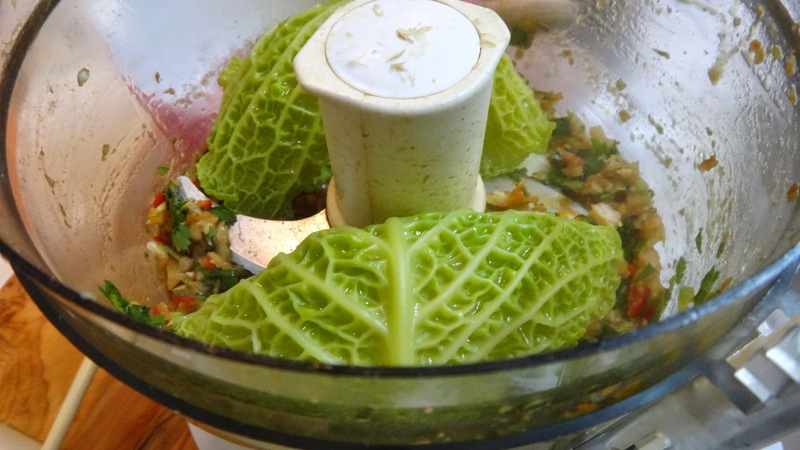 Step 4: add the soft cabbage leaves and process again until finely minced and combined. Step 5: add pork and pulse 4-5 times until combined. 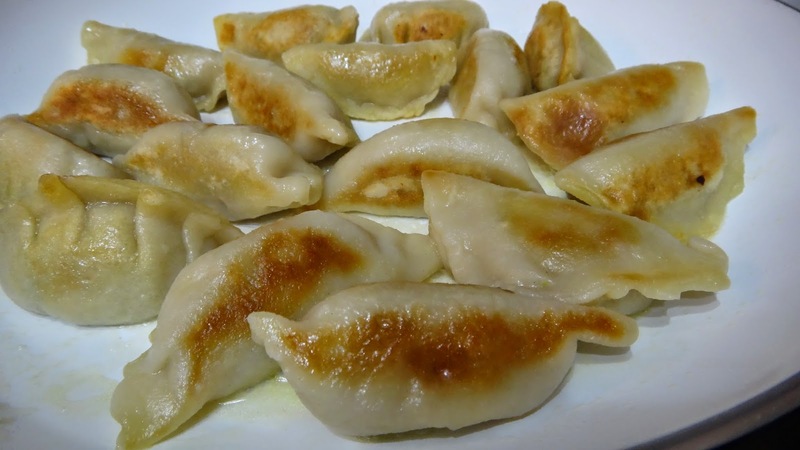 Place in a bowl and keep covered in fridge until you are ready to fill your dumplings. 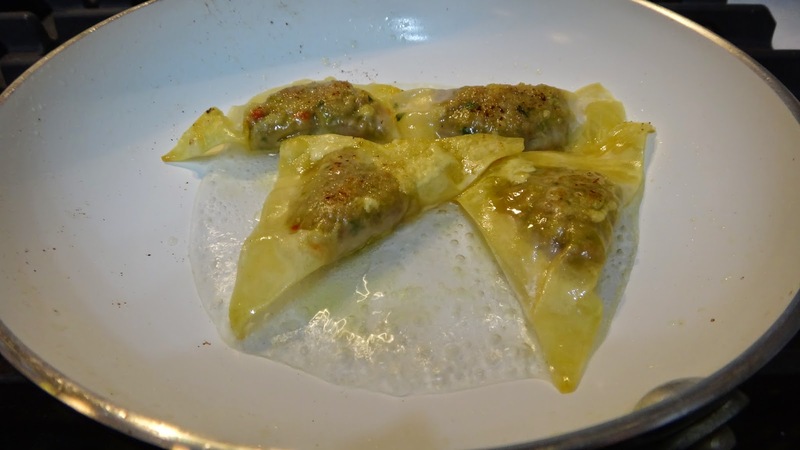 You can get square or round won ton wrappers in the fridge of any grocery store usually. 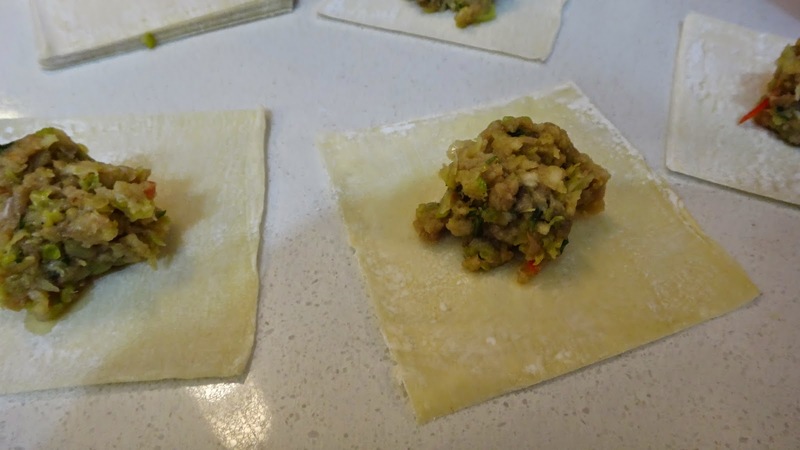 Step 6: Place a tsp – tbsp of filling in on a few wrappers (they dry out so you must cover the remaining and only do a few at a time. I dip my finger in water and run it along 2 sides of the wrapper then seal with the 2 sides that are dry. You are folding the square to make a triangle. 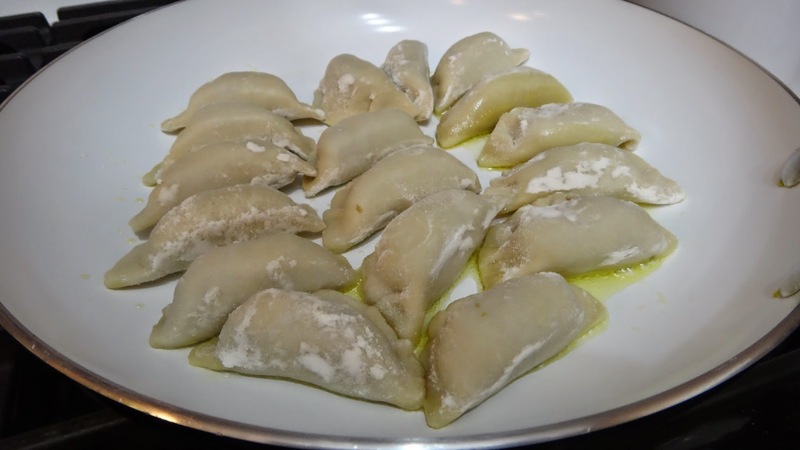 Place in a floured plate or cookie sheet. Do not let them touch each other to avoid sticking. You can separate them and freeze them at this stage. Once frozen you remove them to a Ziploc Bag for storage until you need them. Step 7: in a non stick pan (very important!) 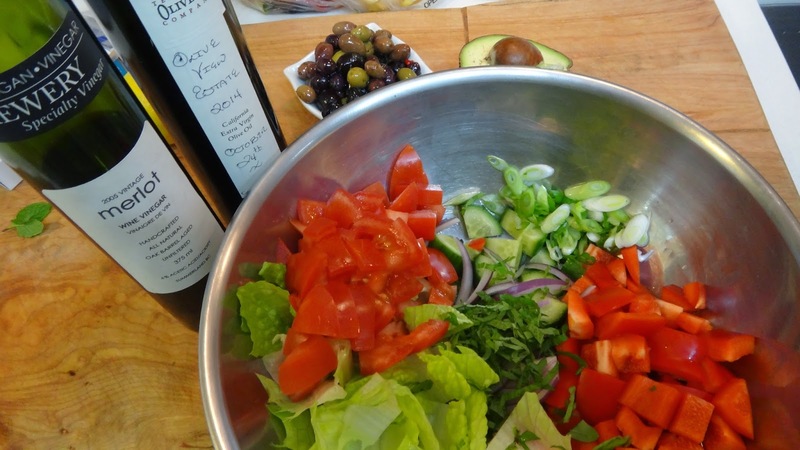 add a small bit of Olive Oil or other vegetable oil you prefer but, I am using a mild Extra Virgin Olive Oil. Step 8: fry on one side until they get browned slightly, then carefully flip to cook the other side. Once both sides are browned. Add 1/4 cup to the pan (it will spit so be careful!) then immediately cover with a lid. 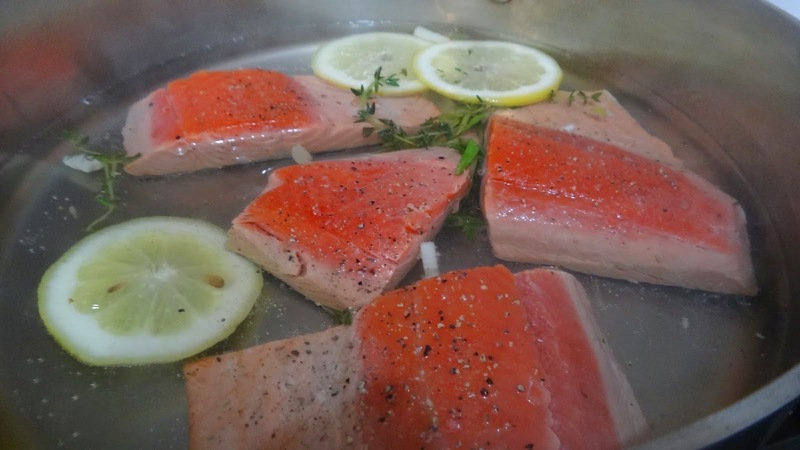 Let them cook for 3-4 minutes will the water evaporates and they eventually start to fry again in the oil. 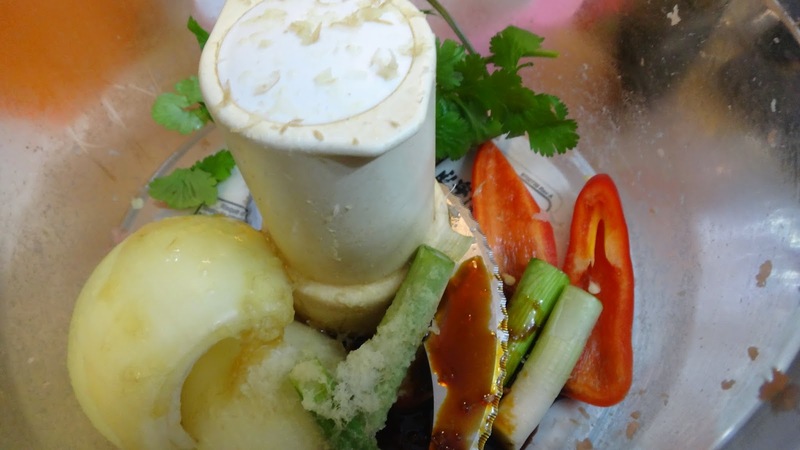 Make the dipping sauce by combining all ingredients listed under the Dipping sauce above and mixing. 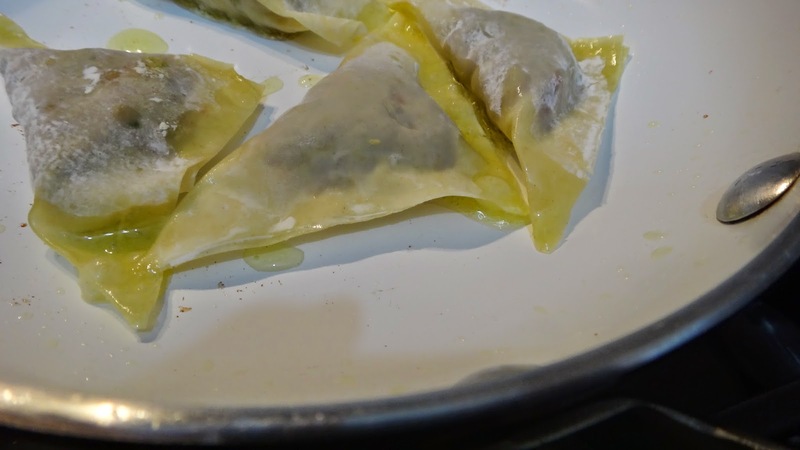 The store bought won tons are much more fragile and delicate. 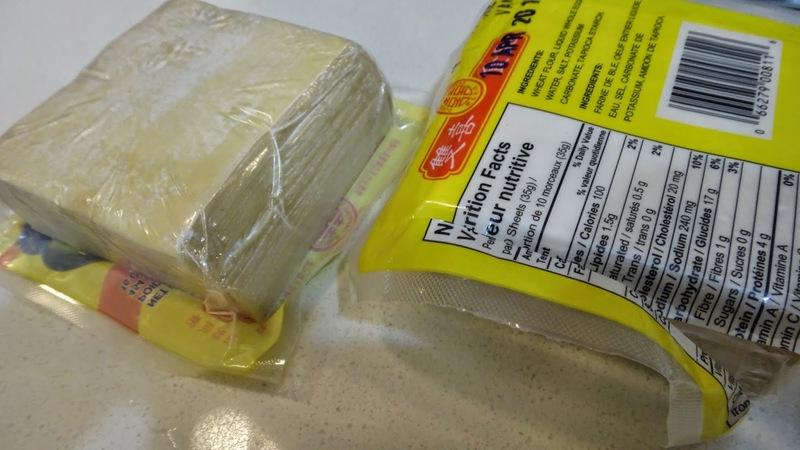 They will tear easily and you should avoid filling the wrappers too much so they don’t break. Step 6: (again! 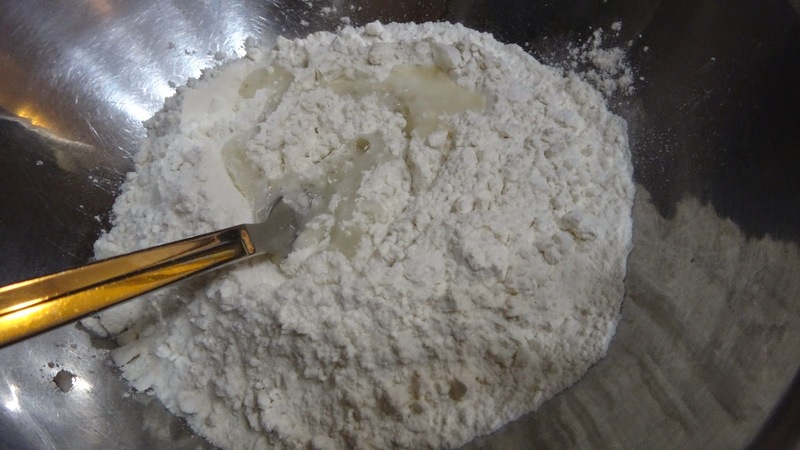 for the homemade dough) Take flour and salt and mix in a bowl. Step 7: add boiling water 1/4 of a cup at a time. 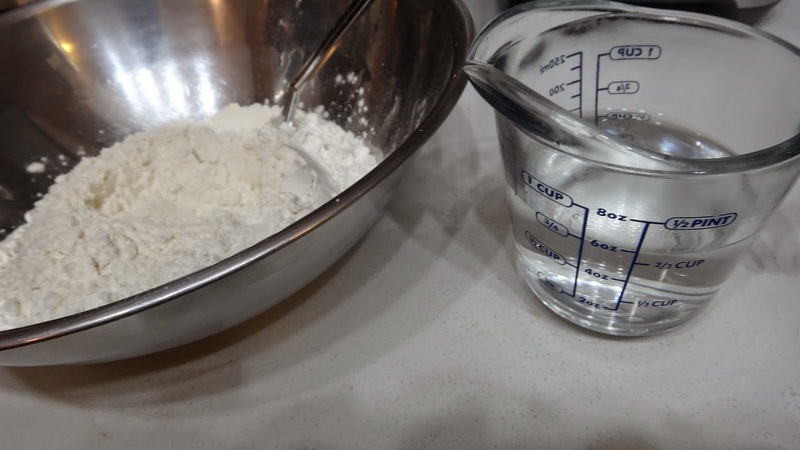 I make a well in the center of the flour and add the water. I then take a fork and start to gather the flour around the crater into the water, mixing as I go. Step 8: once you have a shaggy dough and it is cooled enough to handle. 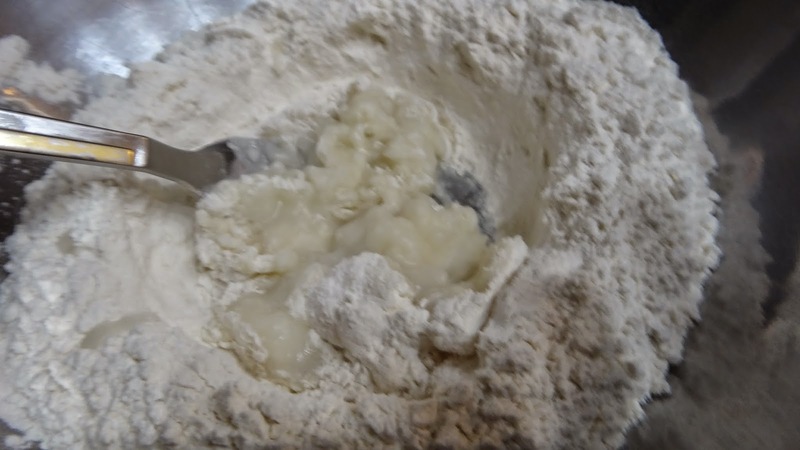 Knead the dough and gather all remaining flour until you have a smooth dough. It takes about 5 minutes to knead it until smooth. 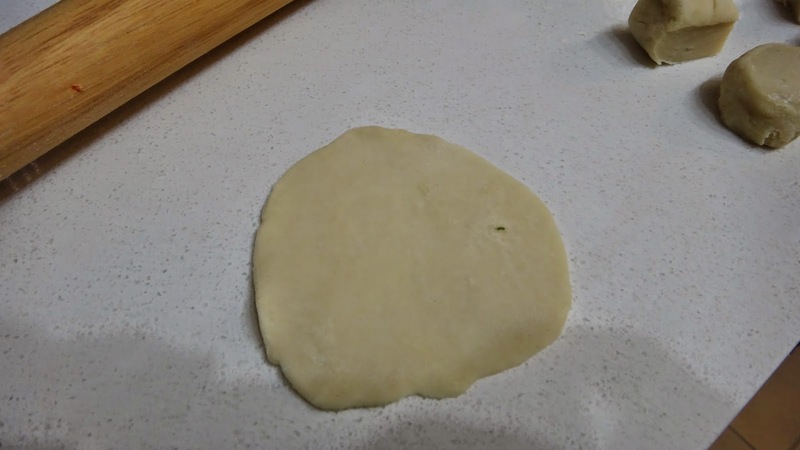 Step 9: you can roll the dough out entirely into a flat sheet and take a round cookie cutter or even a drinking glass to cut out 3 1/2 inch circles. I find it easier to just keep dividing the dough in half until I get 32 even balls, then I roll each one. This avoids scraps and re-rolling and cutting. 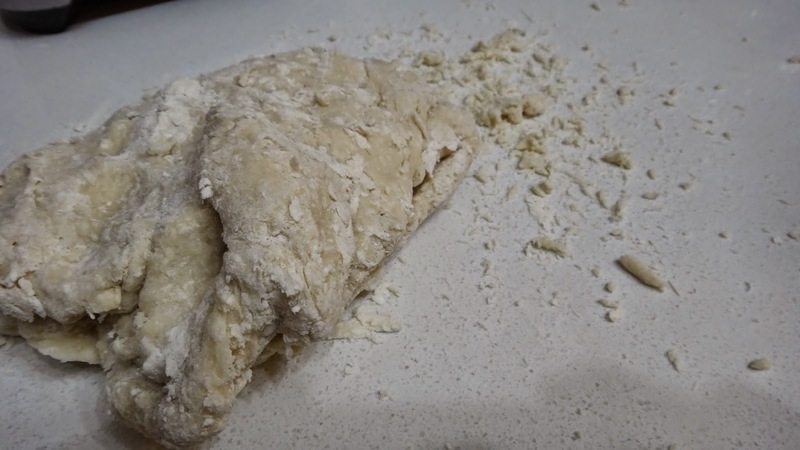 I take the ball of dough and cut it into 2, then each into 2 and so on until you have even pieces. I flatten each ball of dough with the palm of my hand and easily roll out a circle by rolling and turning, and rolling and turning. If you find this too hard then the cookie cutter method might be the better option. I always roll a few, stuff and roll a few more to avoid drying out. 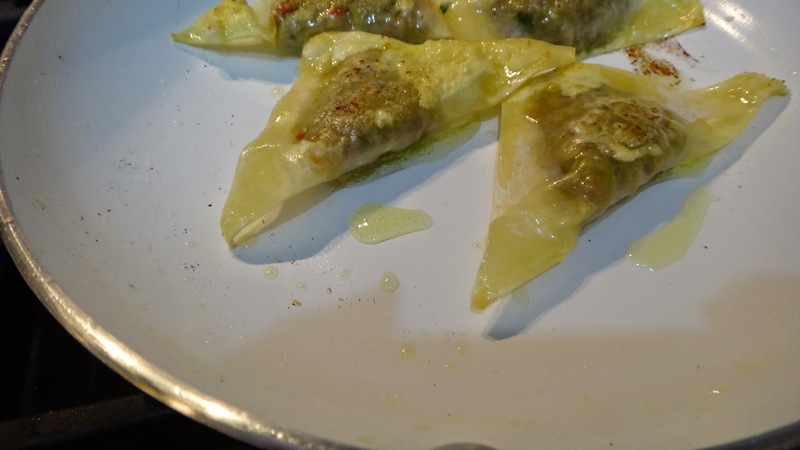 Step 10: I like to measure out the filling -these are 1 tbsp each. 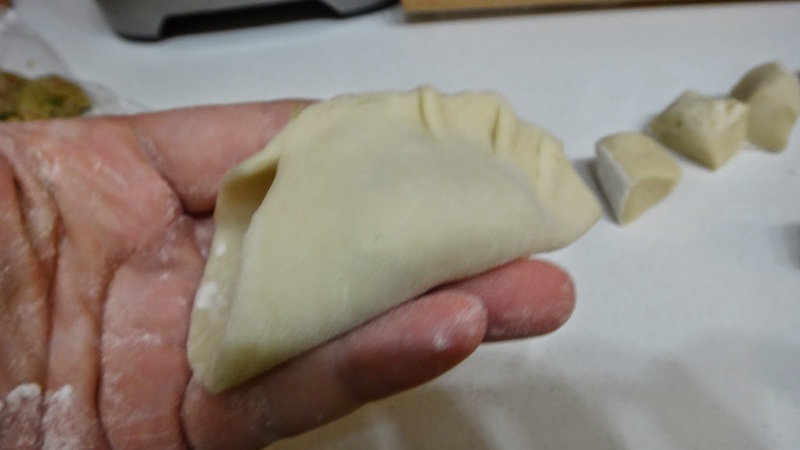 Step 11: hold the circle of dough in your hand with the filling in the center. Pinch the center to hold in place. Fold a pleat and pinch, going towards one end. I kind of pull towards me, fold, pinch and go to the next one. I make 3 folds on one side, then 3 folds on the next. 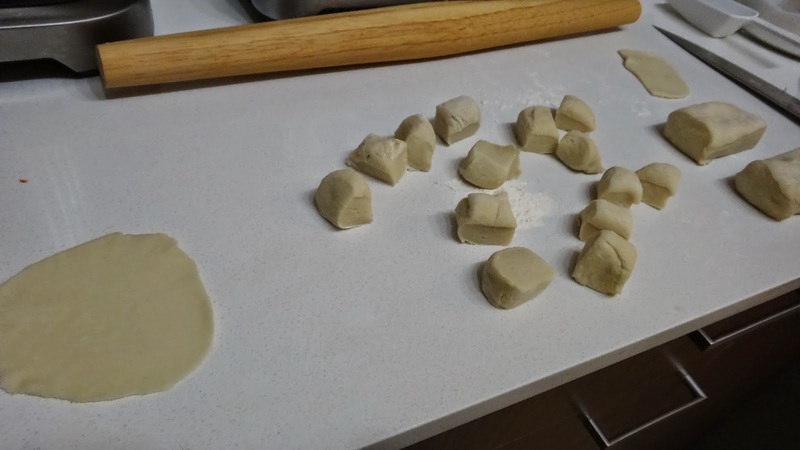 I am sure you can Google how to make dumplings if you don’t understand my instructions in photos. 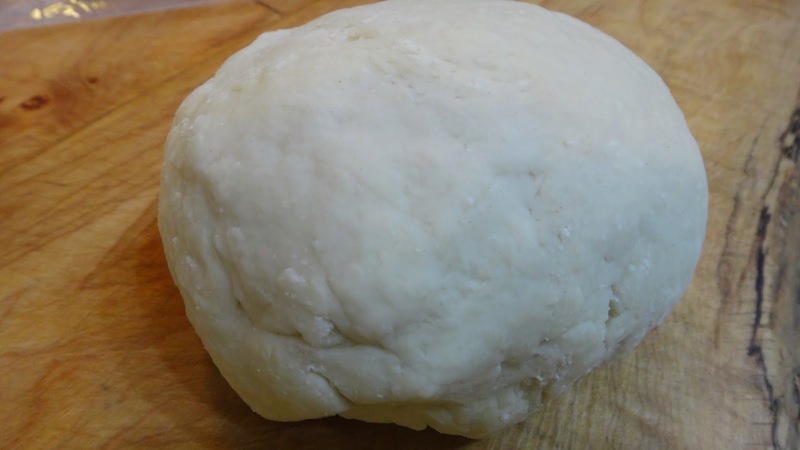 This dough is very forgiving and easy to work with. The circles don;t need to be perfect just relatively round. Remember flatten with your palm, roll and turn, roll and turn. 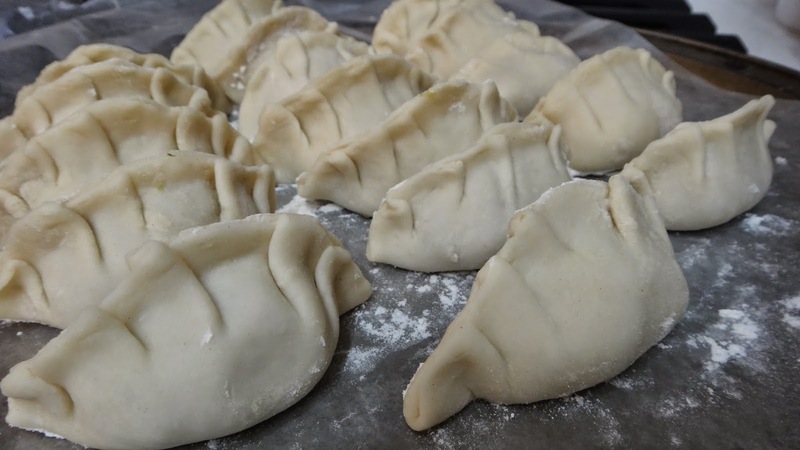 Since you are only pinching and gathering dough on one side it creates a nice dumpling with a flat bottom that can stand up. 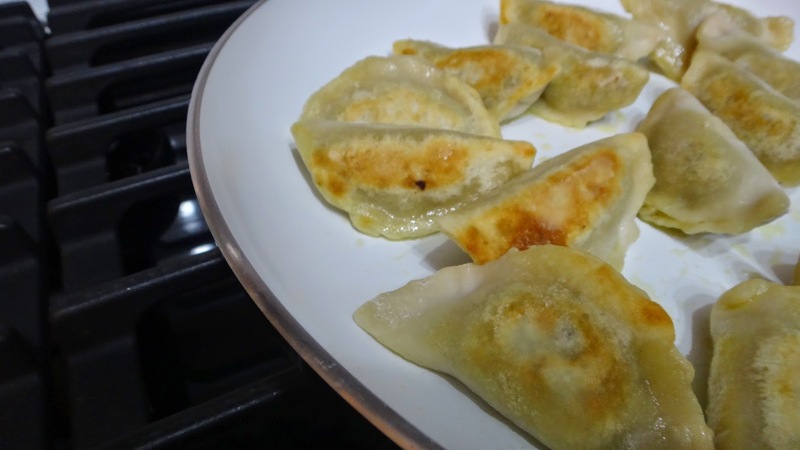 Place on a floured baking sheet to finish all of them. You can freeze them at this stage or cook them. Don’t let them touch or they will stick. 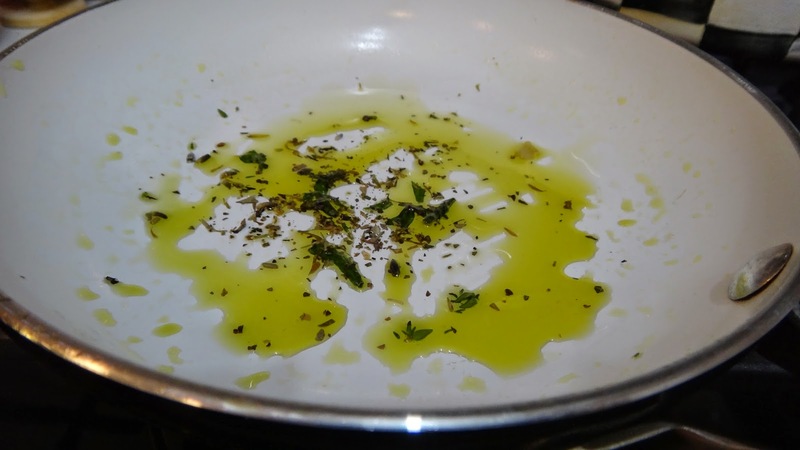 In a non stick pan add some mild Extra Virgin Olive Oil or other vegetable oil if you must. I let them fry on one flat side until browned. Then flip to brown on the other side. 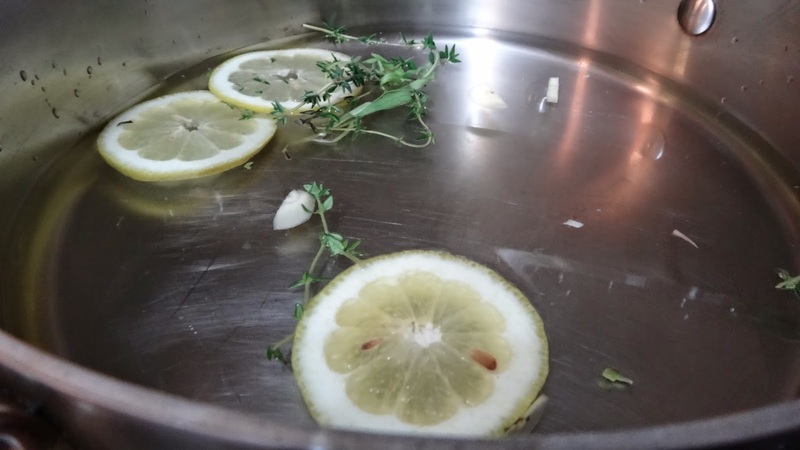 Then place on its bottom and immediately add about 1/2 cup of water or broth and cover. Let them steam for 5 minutes until you hear them start to fry in the oil again. 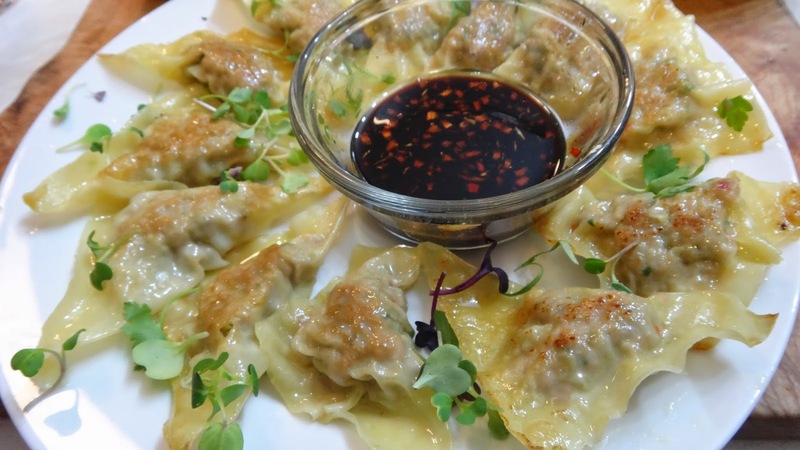 Serve the homemade dumplings while hot with the dipping sauce. This is an exciting post for me! This is my 500th post on this blog!! wow I could never have imagined it would get this far!! Thanks for joining me on my journey and remember there are lots of recipes on this site!! Cook something. Teriyaki sauce is easy to make and great on, or in so many things. 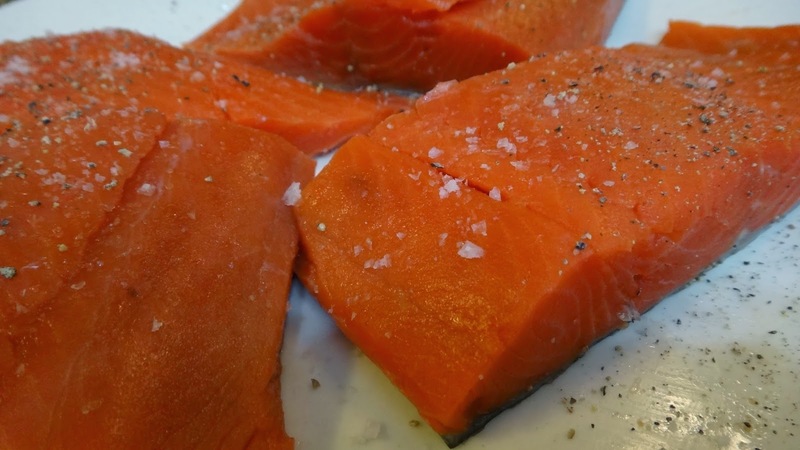 I love it on Salmon, Beef or chicken and I have even added it to burgers for something different. Don’t buy it in a bottle make it yourself! 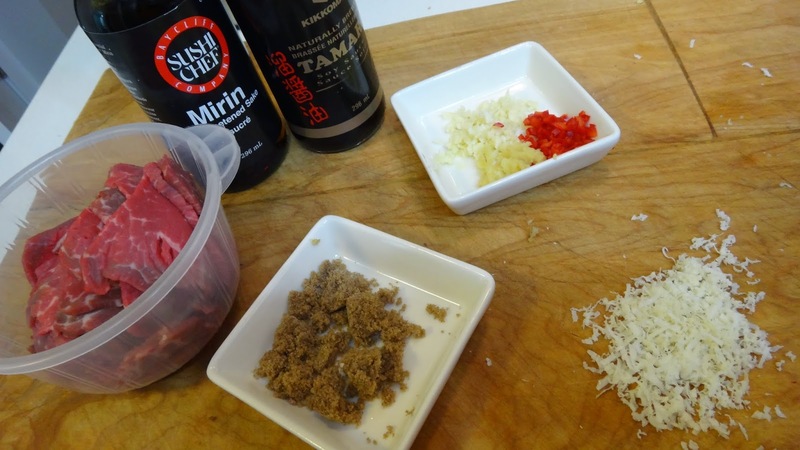 Step 1: if you are preparing the beef teriyaki I recommend tenderloin which is tender and expensive however, 1 or 2 little streaks is all you need. 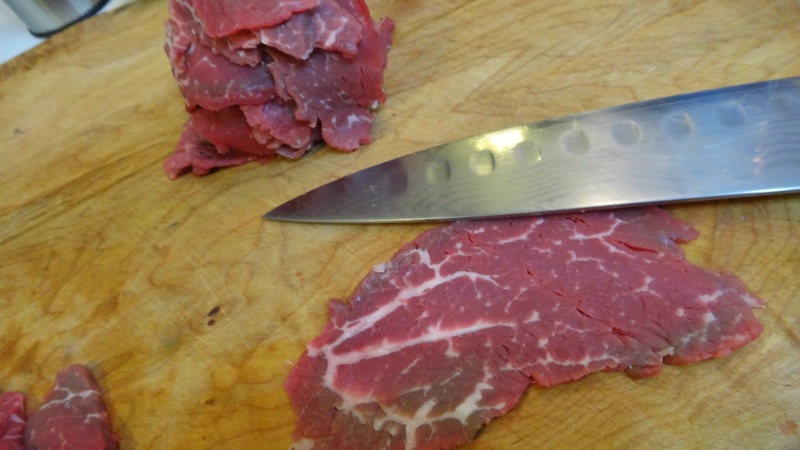 I like to partially freeze the meat and then slice thin and gently flatten the meat with the blade of your knife. This meat will easily tear so be gentle. You can also use a flank steak for feeding a bigger crowd for less money. I like tenderloin because one small steak feeds 2 people. 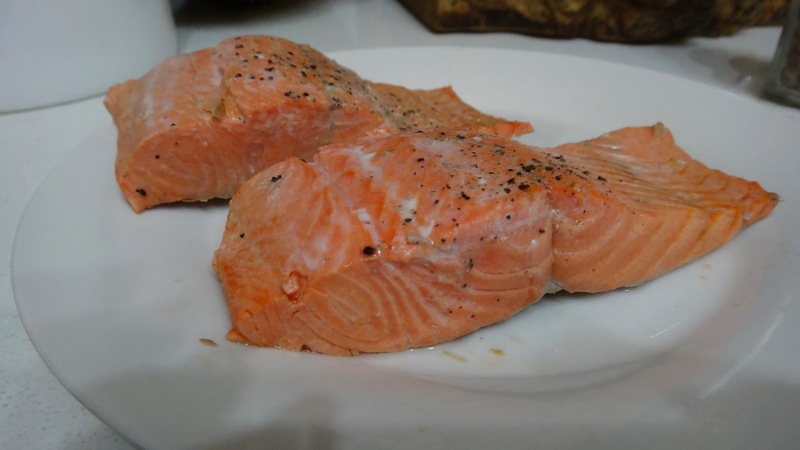 You can also slice chicken breasts into strips or even salmon. Step 2: prepare your teriyaki sauce. In a small bowl add all remaining ingredients in recipe. Chop your chili and garlic very finely and grate your ginger and horseradish (you could use a bit of wasabi if you don’t have fresh horseradish. Mix everything to combine. Step 3: Now you can add this meat carefully to a skewer or carefully grill for literally 1 minute on each side until done. 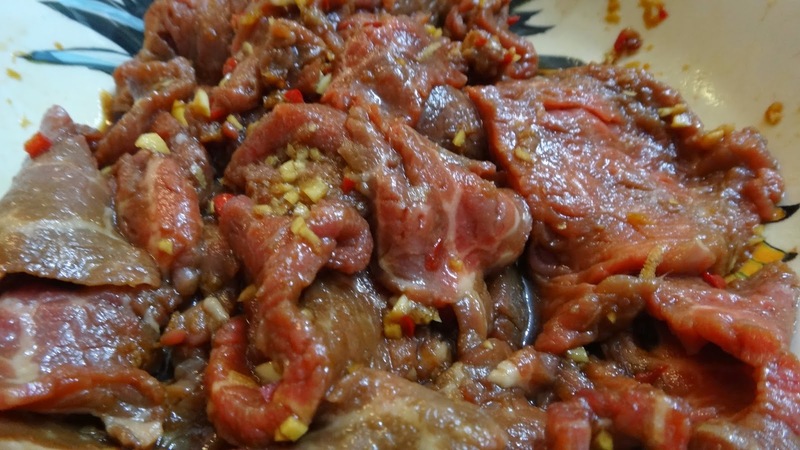 I add the sauce to the meat to marinade only while the grill is heating up, you don’t want the meat to be cooked by the strong marinade. If you are cooking chicken you can allow the marinade to work for an hour or a few before grilling. 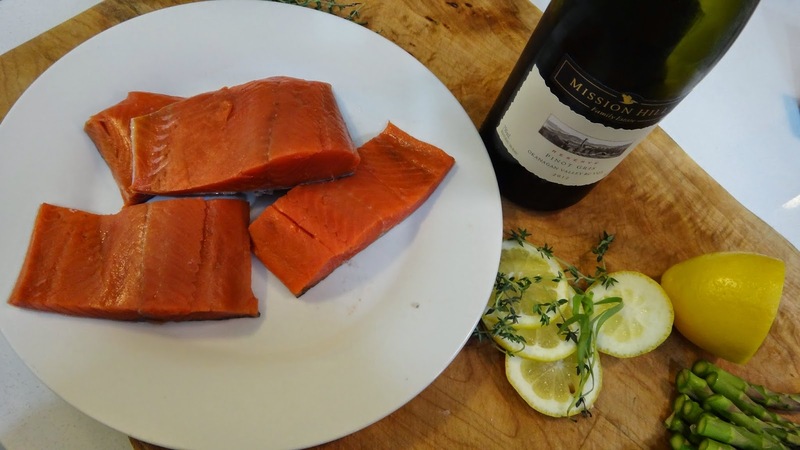 The salmon is like the tenderloin very delicate and you don’t want the sauce to cook the meat. 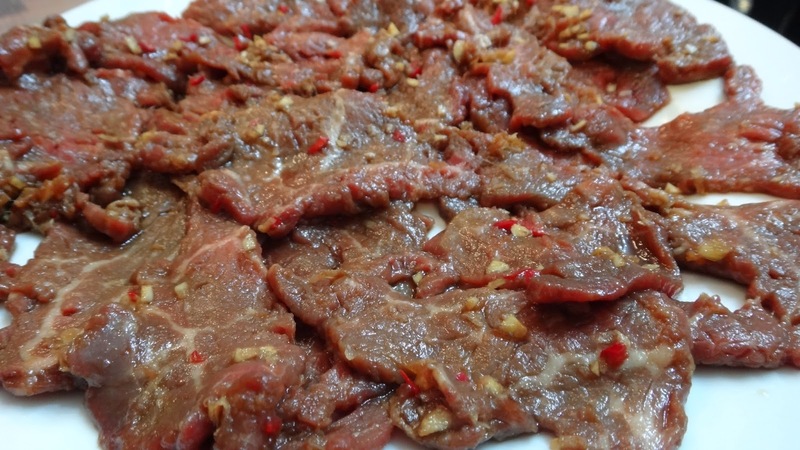 Grill for one minute on each side for this thin beef. 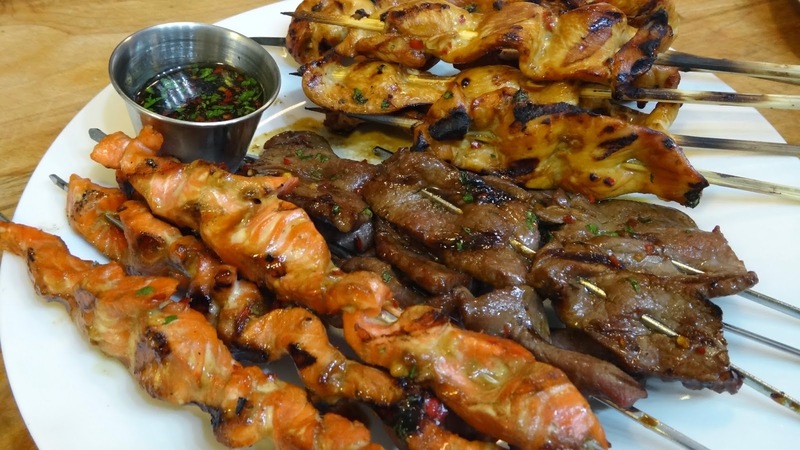 I have made it without a skewer and also with skewers I find you need to be gentle when handling this meat. The chicken is much easier to deal with and can be marinated for longer. 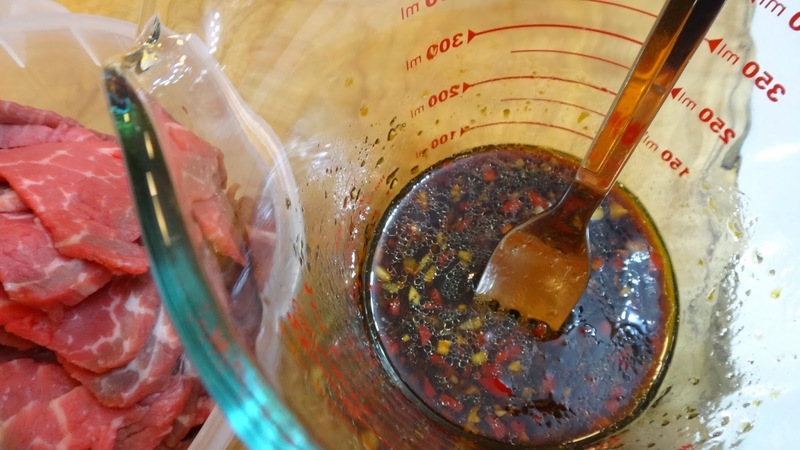 Brush extra sauce over meat while cooking and serve immediately. 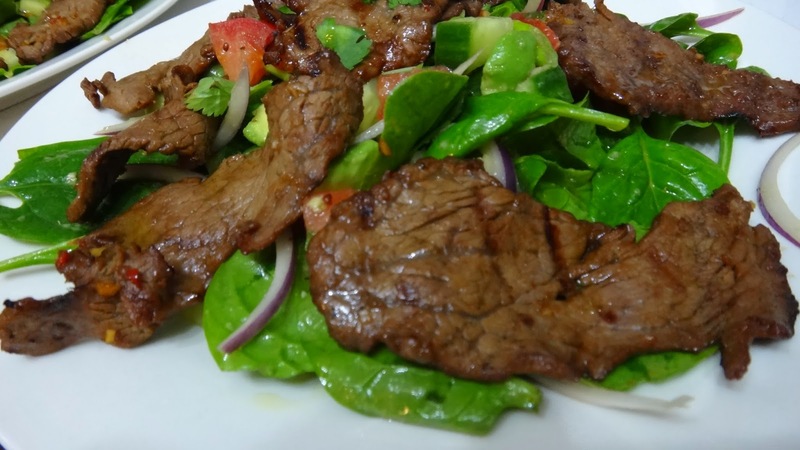 I like to top this meat on a Spinach salad but, you can top any salad you prefer. Always fresh and delicious and you can’t believe it’s been so long since you have had this! 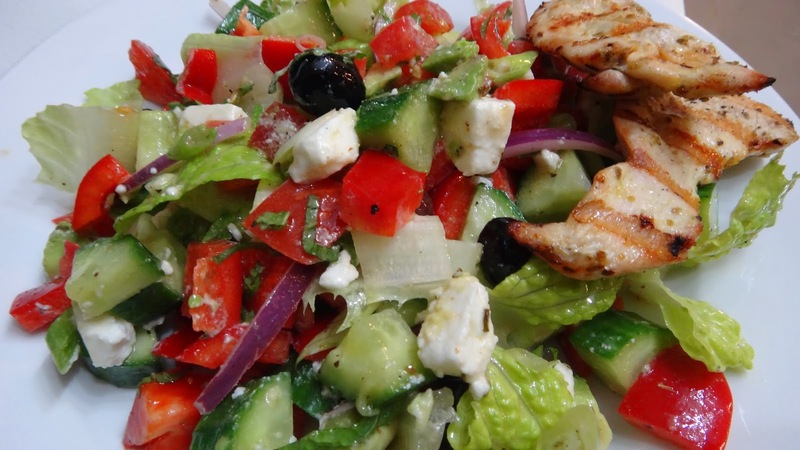 A simple Greek salad can become the perfect weekday meal with a bit of grilled chicken or salmon. 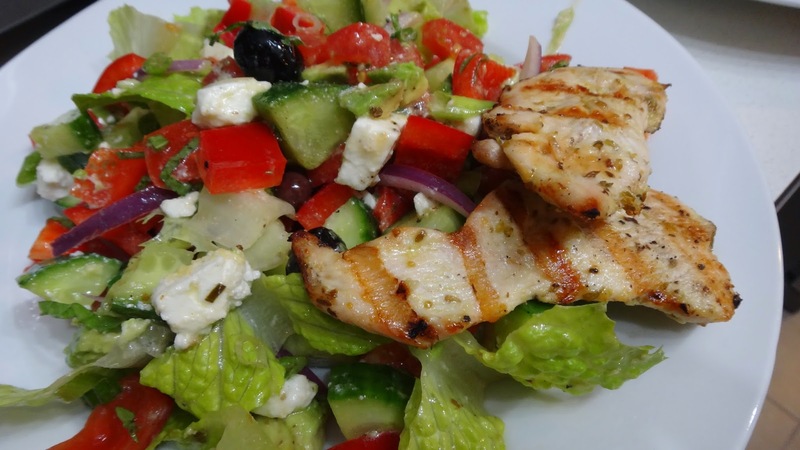 chicken breast – marinaded in lemon juice, olive oil, garlic, dry oregano, salt and pepper. Then grill to perfection. Step 1: gather all your ingredients. 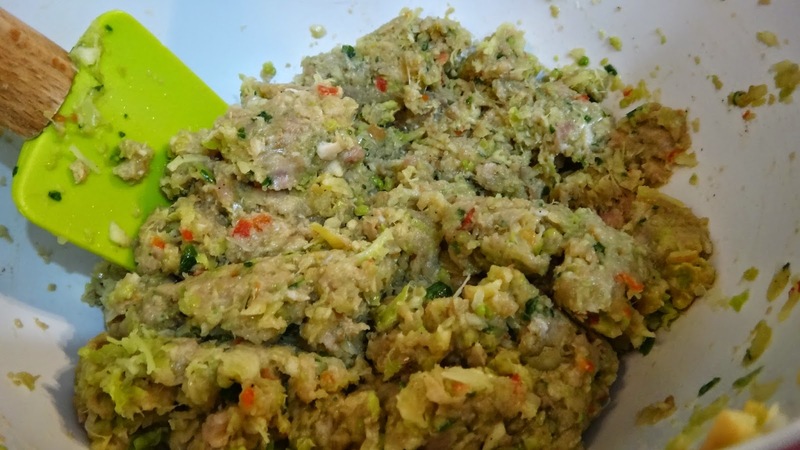 Chop into a chunky salad. I like to keep everything separate until just before serving then I add the dressing and toss. This way everything stays crispy and fresh. If you want to leave this for a hour you can wet a paper towel and just place over all your chopped vegetables and put the bowl in the fridge. 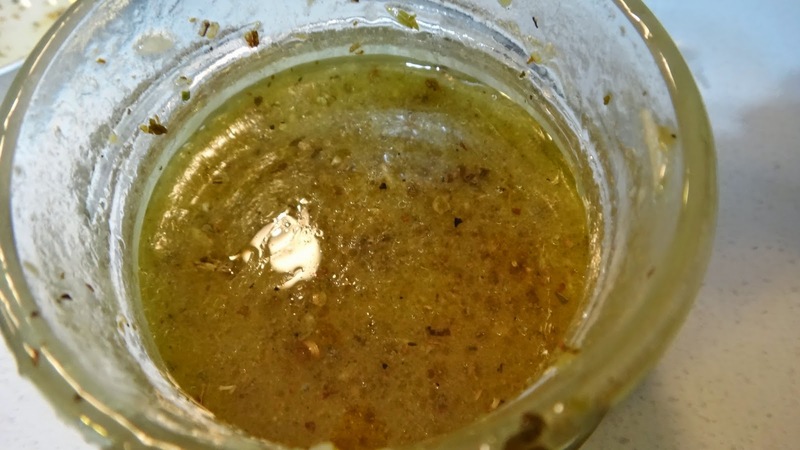 Step 2: in a small jar with a lid add all ingredients for the dressing and shake until you are ready to pour over salad. 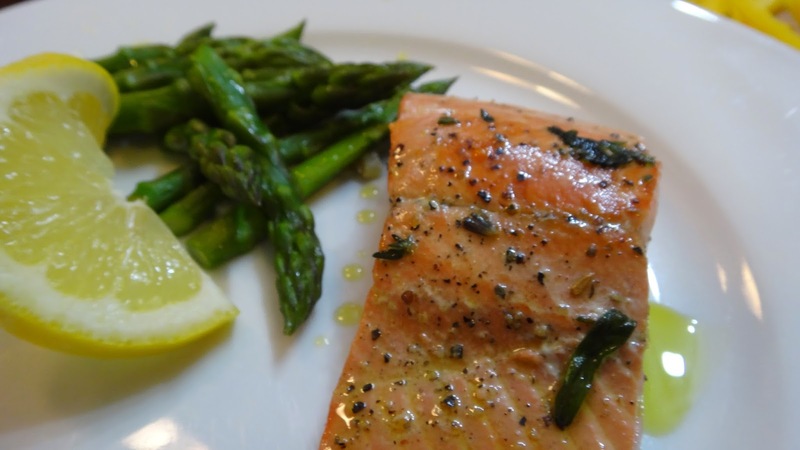 Any leftover dressing can go in the fridge or you can also drizzle some over your salmon or chicken. I use a mild/medium intense olive oil like this Temecula Olive View Estate Extra Virgin Olive Oil. 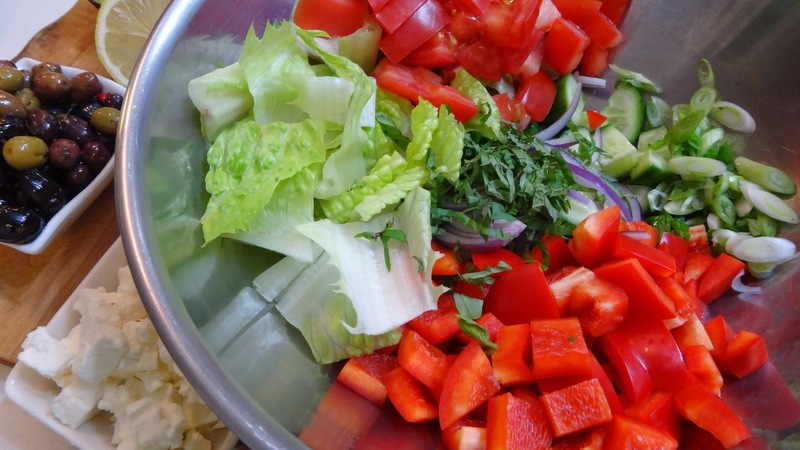 Mix dressing into salad. I use a bit and then only add more if you need it. 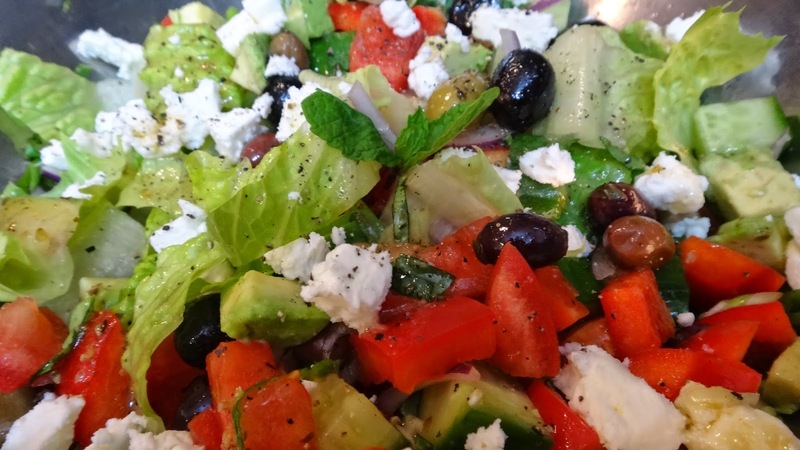 Top with feta crumbles and olives. 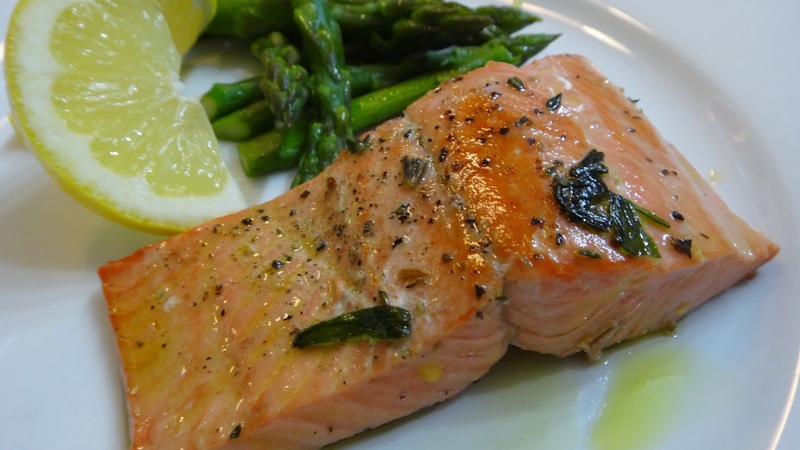 Serve with warm chicken or salmon. 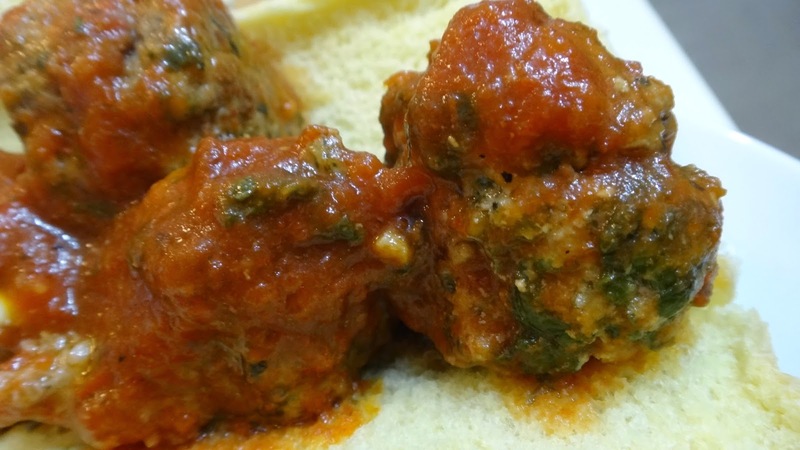 A Greek inspired meatball sandwich! 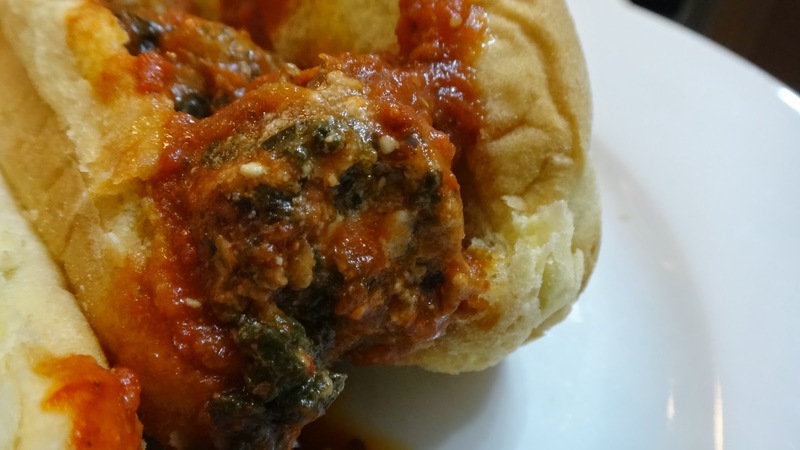 Let’s face it meatballs are always a hit and sometimes you just gotta change it up. 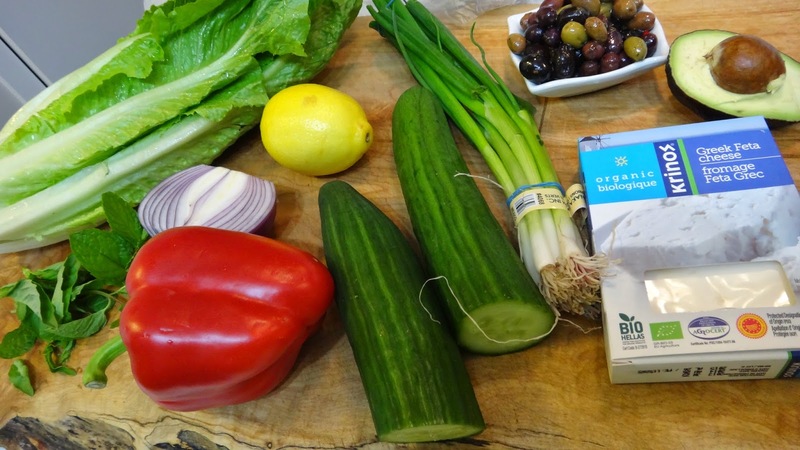 Why not add some of the flavours of Greece to your next batch. 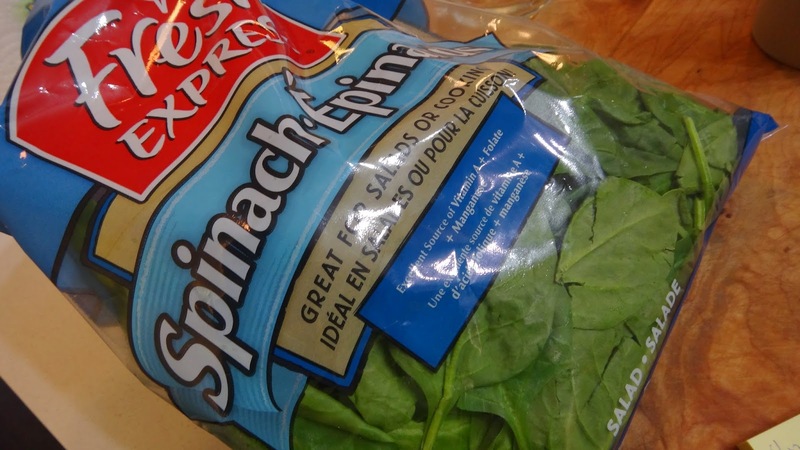 You get some spinach into the family even if they are haters. I promise they will eat it this way! 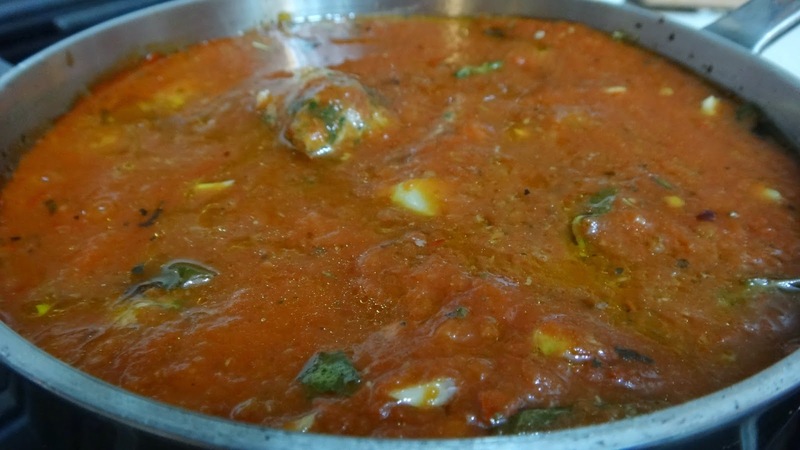 your favourite marinara sauce – it can be as simple as crushed tomatoes, olive oil, garlic, chili flakes, salt and pepper and some fresh basil. Step 1: Take a bag of washed baby lettuce and add to a large pot with some water. 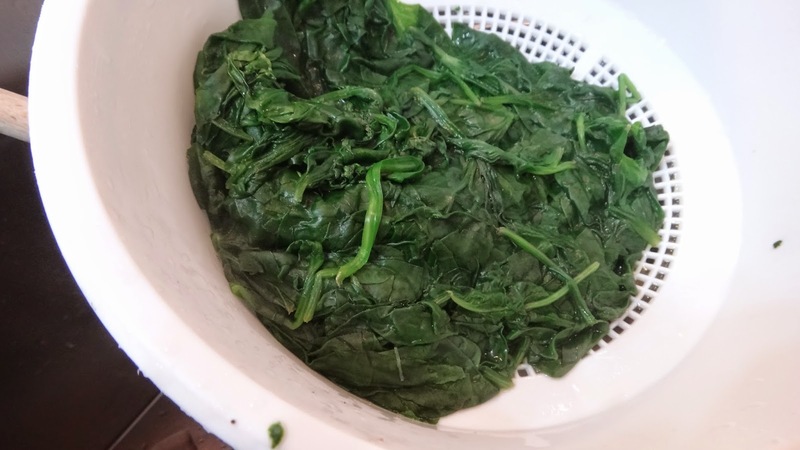 Step 2: cover with a lid and let spinach cook on high heat for maybe 3-4 minutes until spinach wilts down to a small amount. 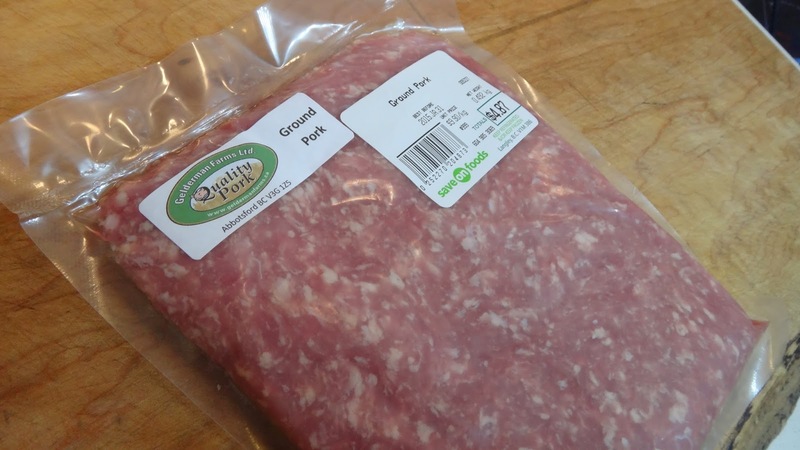 Step 3: invest in a small amount of good quality ground beef. 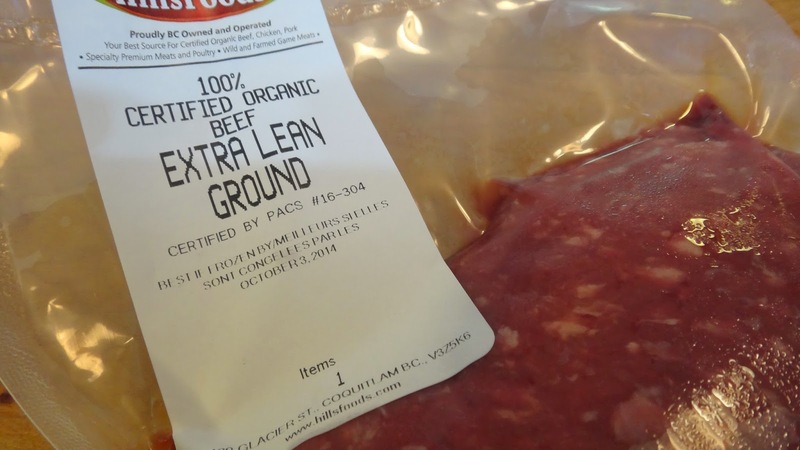 I really feel it is far better to eat a smaller amount of good quality local beef than larger amounts of lesser quality. 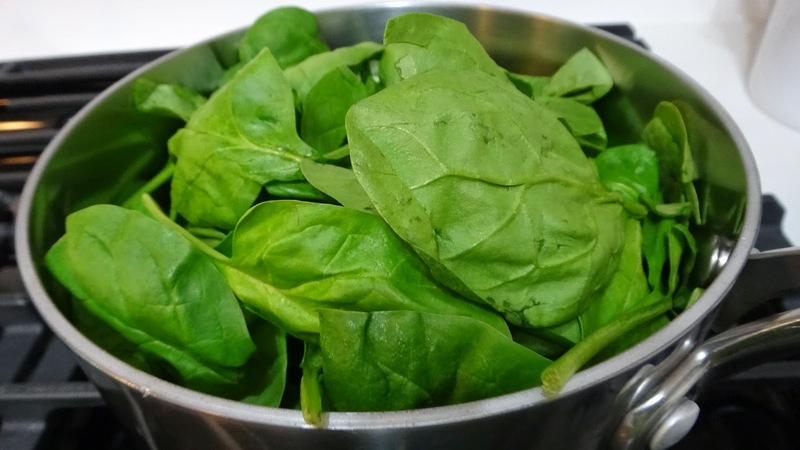 Step 4: drain and squeeze your spinach in a clean tea towel or paper towels to remove most of the liquid. 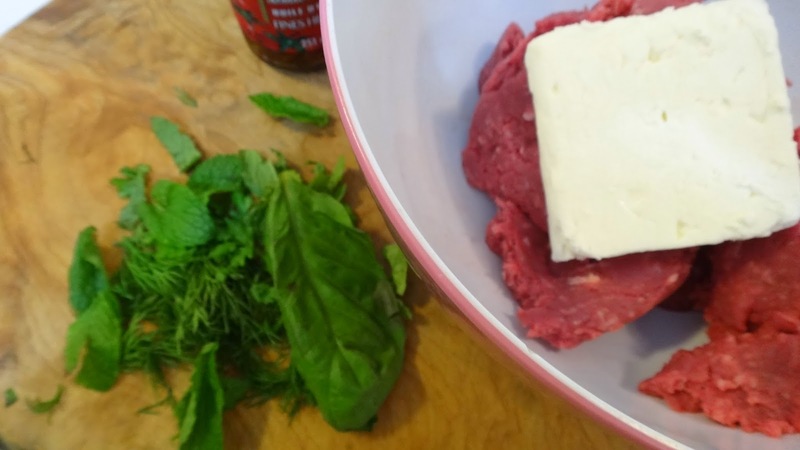 Step 5: take some good quality GREEK feta cheese (I really think the domestic feta is not as good and almost a completely different product) and some fresh herbs and chop finely. 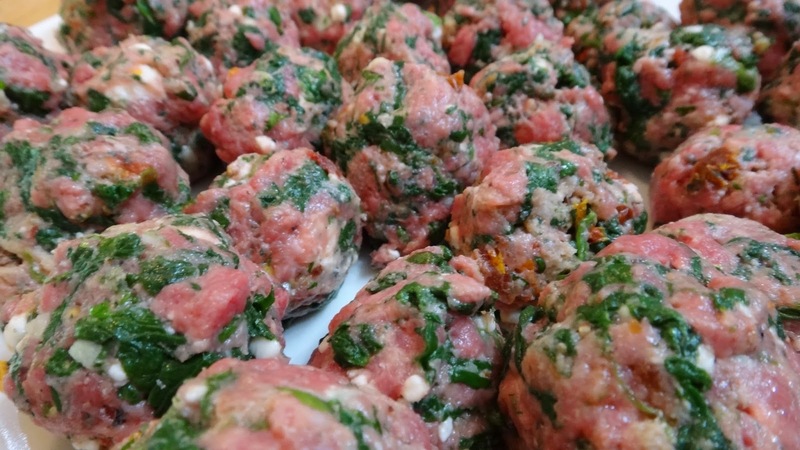 Step 6: chop your drained and squeezed spinach and add all remaining ingredients (except the buns to serve the meatballs on!) and mix with your hands. 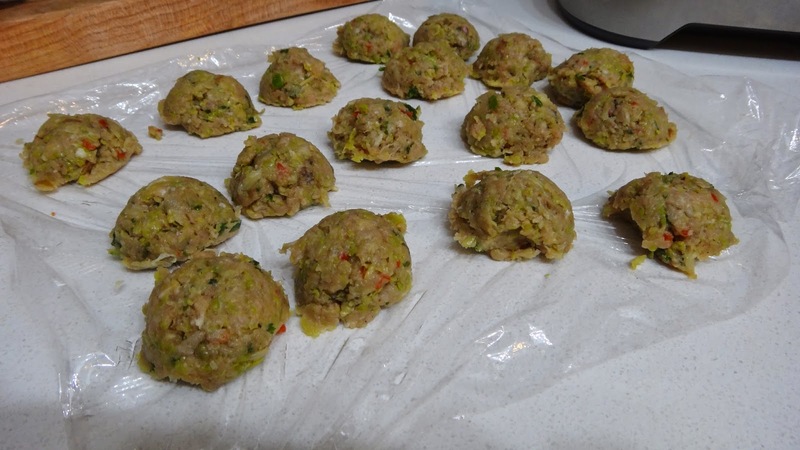 Step 7: form into equal sized meatballs -I use a small ice cream scoop but feel free to use your hands if you prefer. Step 8: prepare a simple marinara sauce. I make mine by starting with a generous glug of great extra virgin olive oil, some slices of garlic, some chili flakes, salt and pepper and then add a can of crushed tomatoes (San Marzano if possible because they really do make a difference in taste) Taste and adjust as necessary. Add a few fresh basil leaves. Cook 15 minutes. 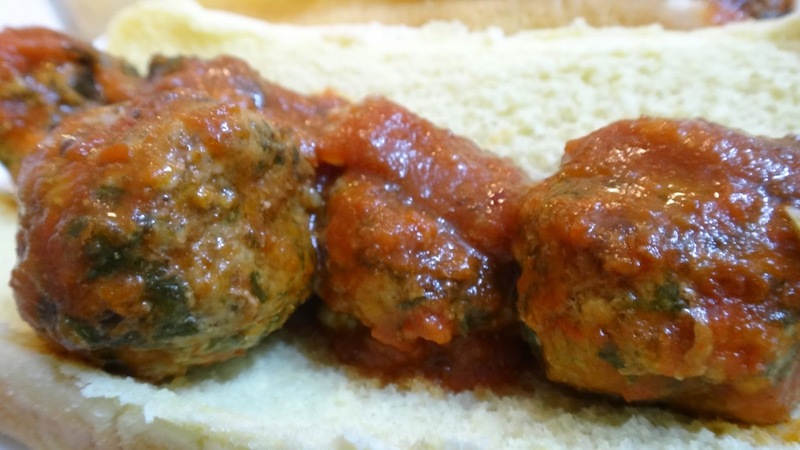 Step 9: you can fry the meatballs first or just toss them into the sauce to cook. Once done. Get the squishy rolls. 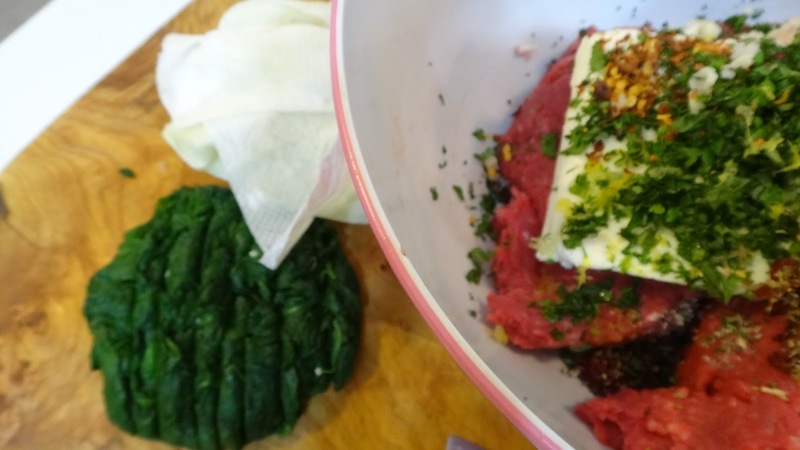 You can always add some feta crumbles on top to take it to the next level or just devour them as they are! YAMAS! !